well if don tuned it most likely he lowered the fan temps. but if you want you can wire a switch to ground the relay for the low speed fan. look in your owners manual it will tell you which relay it is, then pin it out to find the switching circuit from the ecm, should be pin 85 or 86 on the relay. go with the shbox method its the safe way to do it. I did it to my old z like that. worked killer. 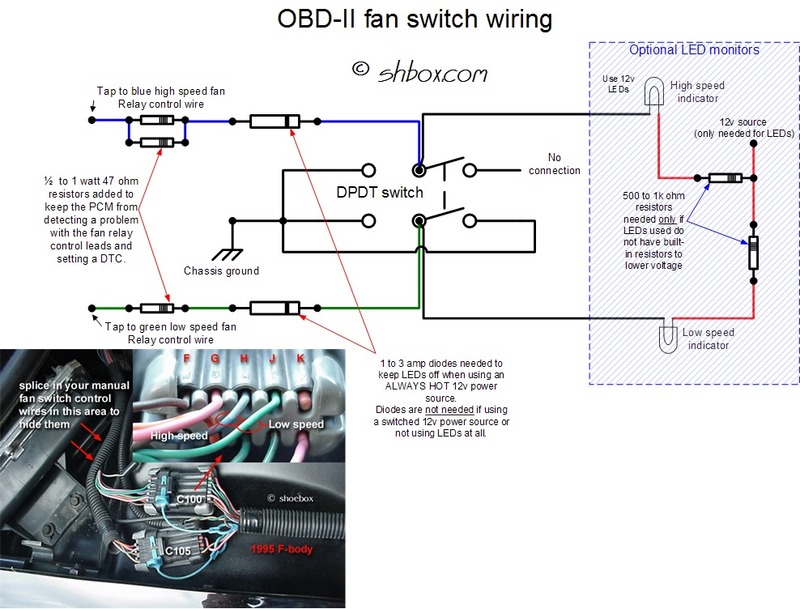 shbox works well or you can just spend $100 on the slp fan switch.. easy install. joshs car is a 98 ls1, that write up looks like its for an lt1 car? make sure the write up will work on a 98 before messing with it! Joe is right. as the colors of the wires and pin out changed.